Temperatures are cooling down and the smell of pumpkin spice is filling the air. In fact, you should go grab yourself a latte or muffin while you read up on these tips! The fall season is a great time to fertilize your lawn. Cool season grasses like fescue and ryegrass benefit from receiving a fertilization treatment towards the end of fall and beginning of winter. Fertilization during this time will give you lawn the nutrients it needs to keep it green and healthy through the winter and into the spring season. Warm season grasses like Bermuda and Zoysia, should not be fertilized after September. However, applying a pre-emergent herbicide in the fall is a good idea to prevent any winter annual weeds from popping up in the dormant turf throughout the winter season. 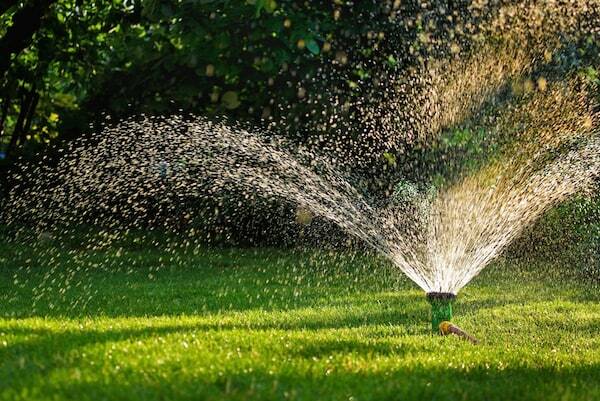 Despite the temperatures cooling down, your lawn still needs to be watered on a regular schedule. Cooler temperatures do not necessarily equal increased moisture. Lawns, particularly in areas like the southeastern united states, require regular watering when coming out of the hot, dry, summer season. We recommend watering your lawn in the morning as opposed to the evening hours, to avoid creating a welcoming environment for fungus. It is important that your lawn gets a good soak. Your lawn should receive about 1 inch of water each week. During the fall, you can likely reduce watering down to twice per week. However, pay attention to your lawn and the current temperatures to gauge whether or not more watering is required. If the layer of thatch on your lawn is more than a 1/2 inch thick, your lawn is at risk for disease and insect trouble. Thatch is a normal and naturally occurring, but too much thatch occurs when your lawn has been over-watered or perhaps over-fertilized. 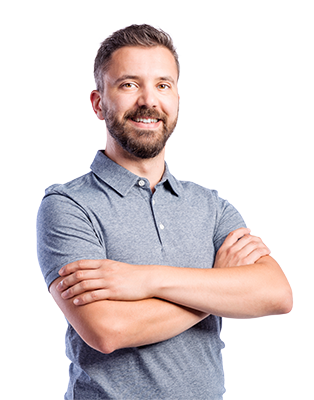 Thatch can usually be removed by using something as simple as a rake, but if your thatch has become too thick, you may need to consider a thatch or power rake. Vertical mowers can be useful, but you may want to contact a lawn care professional for help. Once the thatch has been loosened, rake the thatch to remove it. You can discard it with your lawn waste, or it can be used for compost. 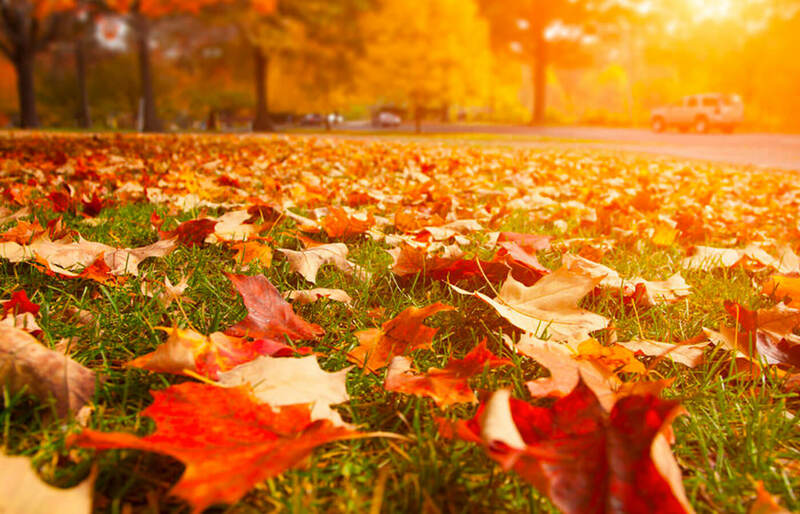 We all love to see the colorful fall foliage, but when the leaves begin to drop from their trees, it is important that they do not collect on your lawn. When a layer of fallen leaves gets too thick, it can smother your lawn and also create a damp environment that breeds fungus. 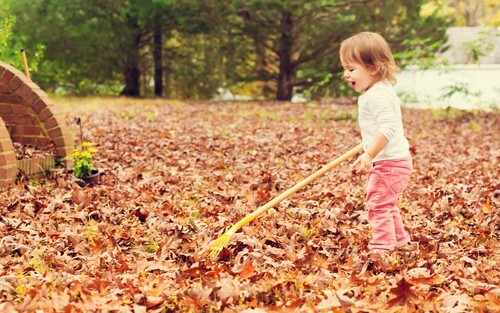 Have some fall fun by raking up a pile of leaves for the kids to play in before you remove them. Who doesn’t remember that as a child? Leaves can be removed with a good, old fashioned rake or leaf blower. You may also want to consider a mulching mower, which shreds the leaves into tiny bits of organic matter than that will eventually become part of the soil and act as a natural fertilizer. Again, be wary of letting your leaves collect too much before your mow, otherwise you will just have a crumbly, leafy mess on your hands. If you have an irrigation system, fall is the time to get it ready for winter. Remove the back-flow value and any components above ground. This should be done prior to the first freeze/frost date. In Raleigh, NC, this date is Nov. 15th. If water is left in the lines, freezing temperatures could result in the creation of ice within the lines, which leads to cracking and expensive repairs.